Narenda Modi, an Indian politician, has begun to set a new course for political debate. Right on the heels of the American presidential elections, India is coming into its political season, although in a bit more high-tech style. For those of you who do not know Mr. Modi, or NaMo for short, he is the current chief minister of the Indian state of Gujarat. He is currently seeking re-election from Maninagar Assembly constituency, working for the Bharatiya Janata Party (BJP) political group in India. Mr. Modi, as a politician, has been infamous during his years of service, and this year he plans on bringing new technology to the campaign he is running. But like most other nations, when it comes to problems in politics, India is no different. This BJP stalwart alleged, “Congress has created a dirty tricks department, whose main work is to indulge in character assassination, publish dirty literature about opponents and spread dirt during elections.” NaMo is on a quest to change all of the tricks used in traditional political debate. 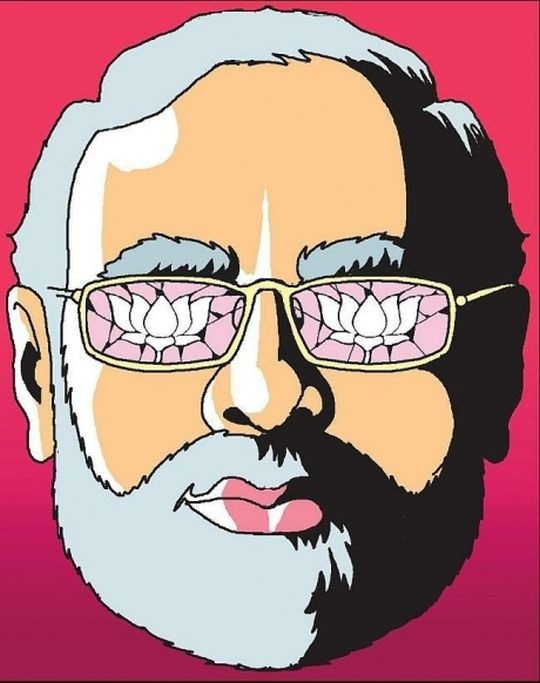 Narenda Modi has been pushing the political envelope for years, using different mediums of expression to connect with his audience. This Indian tech-rebel is carving out a new platform by implementing modern technology into his political campaigns and politics in general, creating a mass following on Twitter, Google+ and YouTube! Modi’s next step is 3D interactive technology. But, what can he do to impress the aam-aadmi [common man], whom he is seeking to represent? He has been considered one of the most tech-savvy politicians, and he has proved that modern technology can be beneficial in the old industry of politics. 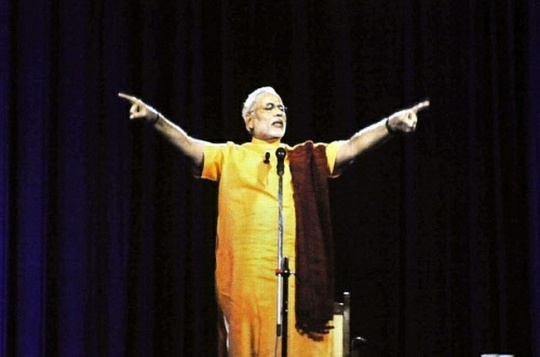 Recently, Narenda Modi was in four places at once: Ahmedabad, Vadodara, Rajkot and Surat, using 3D holographic technology to address public gatherings in all four locations on Sunday, August 18, 2012. Check out the link above! During that speech, Modi interacted with netizens on Google+, and the live chat session was broadcasted on YouTube. Mr. Modi had such a large following that Google+ crashed due to the volume of people logging onto the live session! The questions submitted by participants dealt mostly with education, rural development and urbanization. Hash tag #ModiHangout became the most trending term in India on Twitter the day of the session, whereas #VoteOutModi, used by Modi’s opponents, became the third most trending term in the country. It seems as if there’s a new system of social media politics. Could it be the future means for calling elections early? This move to use 3D technology and other social media outlets will separate him even further from his political counterparts worldwide. Most politicians use planes, trains and automobiles to travel from destination to destination; however, this modern politician has surpassed all that, finding a more effective and efficient method of addressing the public. More politicians should embrace the use of modern technology, including American politicians. In this era of limited resources and endless technological outlets, it is wise to rise above the current standard and create your own methods, just like Mr. Narenda Modi. Who knows, maybe it is the way to attract more people and get them involved in the political life of the country.